Quite simply Pico de Gallo is the freshest, cleanest, most delicious condiment you could wish for to accompany Mexican food or indeed anything that could do with something light and zingy alongside. Chop the onion and chilli into fine dice and place into a bowl. De-seed the tomatoes and dice the flesh. Finely chop the coriander and combine together with the onions, chilli and tomatoes. ensure that everything is well worked together and squeeze over the juice of 1 lime. Season to taste with a little sea salt. 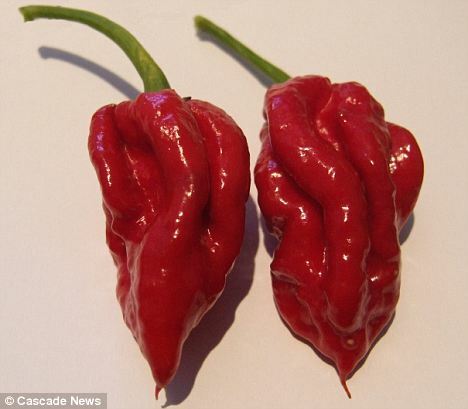 Naga Viper – The World’s Hottest Chilli Pepper? There has been a lot of buzz for a while now that the fearsome Bhut Jolokia has been knocked off its top spot as the world’s hottest chilli pepper. It was announced back in October that Gerald Fowler from the Chilli Pepper Company had grown a new chilli that had not just beaten the Bhut but had destroyed it…. not only that but it has been developed and grown in the UK of all unlikely places. Rather unassuming for something that would melt your face and having you rushing for the chilled toilet paper. The Viper is the result of selective cross breeding of the Bhut Jolokia, Naga Morich and the Trinidad Scorpion all of which are so hot it is not even funny. Warwick University HRI have carried out HPLC testing on the Viper and have returned some pretty impressive numbers, it seems this bad boy has a LOT of heat 1,349,000 SHU to be precise. 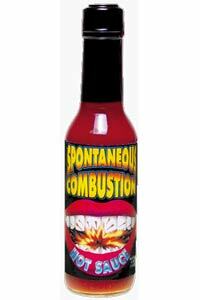 So we are looking at a chilli that is over 250 times the heat of a jalapeno, now that is hot! There is an awful lot of dispute going on as to the veracity of the results, in particular there are claims that NMSU are the only real authority in terms of accurately measuring the heat of a chilli, whether NMSU are the be all or not one thing is certain further verification will be required before Guinness start handing out world record certificates. As of the end of October Gerald Fowler was in the process of sending pods away for DNA testing so before too much longer it will be official one way or the other. Personally I think that whether or not the Viper is crowned top dog it is only a matter of time before someone in the UK turns out a world-beating variety and it says a lot about the skill and dedication of chilli growers in the UK that they are turning out chilli peppers that are even in contention considering the huge climatic disadvantages we suffer from in this part of the world. A number of years ago I found myself getting increasingly fed up with shop bought chili powder. 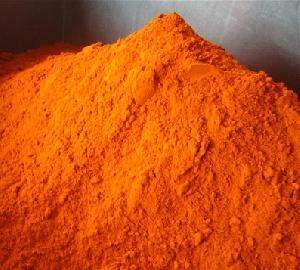 Unless you go to a specialist shop it is just not a particularly good product; some chili powders have no heat what so ever even if they are labelled as being hot, some have no flavour to them at all and many of them are adulterated with colourants and additives which are just unneccessary. So I started making my own, now I am able to have different blends or mixes made up ready for certain recipes and have complete control over what goes into my chili powders, their flavours and levels of heat. You can also make rubs and seasoning blends in advance by mixing in the required herbs and seeds. Because I tend to get through quite a lot of chili powder I make fairly large batches at any one point but you can make as much or as little as you wish. You will need to ensure that you are using dried chilies or if not you are going to end up with a paste as opposed to a powder. If you aren’t able to find the variety of chili that you want in a dried form you can but them fresh and dry them yourself, or even better grow your own chilies. In order to dry your chilies you will need to remove the stems and the seeds from the chili and flatten out the pieces. Place these onto a dry baking sheet and bake in the oven for about 5 or 6 minutes before checking them. Smaller less fleshy pieces will dry out quicker and can be removed before returning the larger pieces to the oven for a further 5 minutes. Once all of the pieces of chili are nice and crisp break them into smaller section and pop them in a blender or better yet a spice grinder, pulse the chilies for afew seconds until you are left with a powder. Hopefully you will notice that the colour of your chili powder is far deeper and that the aroma and flavour are far stronger and less artificial. Store your chili powder out of direct sunlight in a glass jar with a tight fitting lid. I realized yesterday that something terrible had happened…I had run out of hot sauce. This might sounds like a rather minor inconvenience to most people but unfortunately for me I am a chili addict. I simply can’t get enough of that sweet, intoxicating chili heat and the store-bought sauces just don’t cut the mustard anymore, they tend to be too sweet, with an unnatural taste and certainly they are lacking that much-needed kick of heat. There are some amazingly good hot sauces out there such as NagaSoreAss by CA Johns or a recent discovery Louisiana Gold Wasabi Hot Sauce but these aren’t the sort of hot sauces you would want to use everyday. So of course I make my own. My hot sauce of choice is loosely based on a Trinidadian hot sauce that I tried a few years back but I have played around with it until it has a little more heat but still keeps a great flavour. In a blender or food processor, pulse the chilis with the garlic, spring onions, celery and carrot until finely chopped. Now add the black pepper, vinegar, orange juice, mustard, coriander, thyme, crushed bay leaves and lime juice and pulse just until combined. Once the sauce has been made you will need to transfer it into jars or bottles in order for it to keep. The vinegar acts as a preservative for the sauce and I have kept this in the fridge for up to a year without sterilising the jars.